In Lonnie's Shadow is a remarkable work of historical fiction. Set in inner-city Melbourne in and around Little Lonsdale St, it tells of four young adults Lonnie, Pearl, Daisy and Carlo. They are poor and life is difficult, sometimes horrendously so. Each has their own dreams and aspirations and their own crosses to bear. Lonnie continually finds himself in trouble as he cannot accept the unfairness of his friends' and relatives' situation and constantly tries to find solutions, staying within the spirit of the law if not the letter. Michaels writes in a language that brings 1891 Melbourne to life but the reader is not overwhelmed by the vernacular. 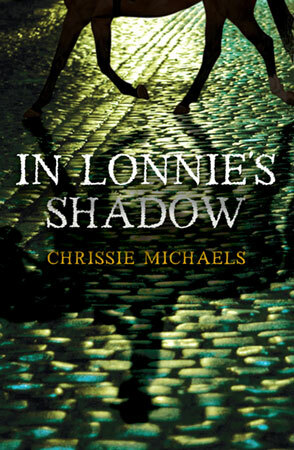 The characters within In Lonnie's Shadow cover the gamut from madams and gang members, heartless landlords and kindly aunts, to child rescuers and the toffs on Collins Hill. The multicultural nature of the area is explored as are all harsh realities of life before the welfare state. Prostitution, gambling, drunkenness and theft is rife but so is compassion, honesty and the desire for companionship. As a self-confessed history nut, what I loved most about the book was how it brought historical artefacts to life. Each chapter is named after an artefact found in an archaeological dig and catalogued by the museum. This item is mentioned within the chapter. The chapters are short and link together to weave a story of complexity and heart but not bogged down by the historical minutiae. I highly recommend In Lonnie's Shadow to all interested in Australian history and all who love a good read.